Wakasa Bay is located in the northwestern part of Fukui, facing the Sea of Japan and lying between Cape Echizen to the east and Cape Kyo-ga-misaki to the west. It has a beautiful, typical saw-toothed coastline with seawater that has a high clarity, providing a great view of what lies beneath. The area from Kehi-no-Matsubara in Fukui to the Tango-hanto Peninsula is designated a quasi-national park. Mikata Goko, or the five lakes of Mikata, are located on the east shore of Wakasa Bay. The lakes are registered under the Ramsar Convention, which is designed to protect internationally-important wetlands. Each of these five lakes has a different water quality and depth, and they display five various colors. Their colors change in each season, and they are therefore called "the lakes of five colors." The five lakes are connected by a waterway, and a sightseeing boat is available. You can also enjoy the great scenery of Wakasa Bay and Sekumi Port from the Mt. Baijo-dake observation point. 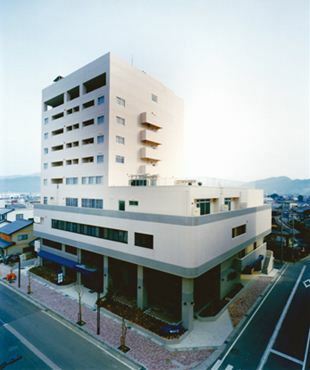 Wakasa Marine Plaza is the petit resort hotel situated in front of the beach. The hotel has both western-style rooms and Japanese-style rooms. The marina is also furnished and always kept more than 120 cruisers. The largest hotel in Wakasaji, the 10-story Hotel Sekumi-ya offers views of the sunset over Kohama Bay from every guest room and is known for its traditional kaiseki cuisine made from seasonal seafood.